The best part of the work I do in schools is visiting classrooms and participating in the learning taking place. I have previously written about my passion and belief about the kind of work students in schools should be engaged in. You can read more about this HERE, HERE, and HERE. Do we treat students’ time the same way? Do we ensure that students see the relevance of the work we ask them to do? Is the work we ask students to do in fact relevant? How do we react to students who express (in various ways) that the work they do in class is not personally meaningful? Do we pay attention to these reactions and what do they mean? How will you know you’re done and that you’ve learned what you were supposed to learn? Most of the time, students respond by explaining what they are DOING, rather than what they are LEARNING. Students always find it challenging to articulate WHY they are learning something. Most of the time, there is value and a good rationale for the work teachers ask students to do. The missing link is that we often don’t share this information with students. What we are talking about is “Learning Intentions“: sharing with students WHAT we expect them to learn and WHY. Learning intentions are most effective when they are clear, visible , and in language students can understand. This past week during class visits, I noticed students in several classes engaged in hands-on, meaningful, and interesting learning experiences. Before constructing their walls with power drills and hammers, the Learning Intention for this activity was made explicit for students: they were doing this work because eventually, they will have to use tools to perform tasks in their own home. If we are skilled in taking care of small tasks on our own, we can be independent and not rely on others all the time. We also shared that there will be a huge demand for skilled trades people in the future and for students to consider trades the next time someone asks, “What do you want to do when you grow up?” The following images show students excited, engaged, proud, and fully understanding not only the WHAT of learning, by the WHY. The students in this class were riveted, and so was I. Because we decided to record the event in slow motion, we had the opportunity to view the eggs cracking over and over again. 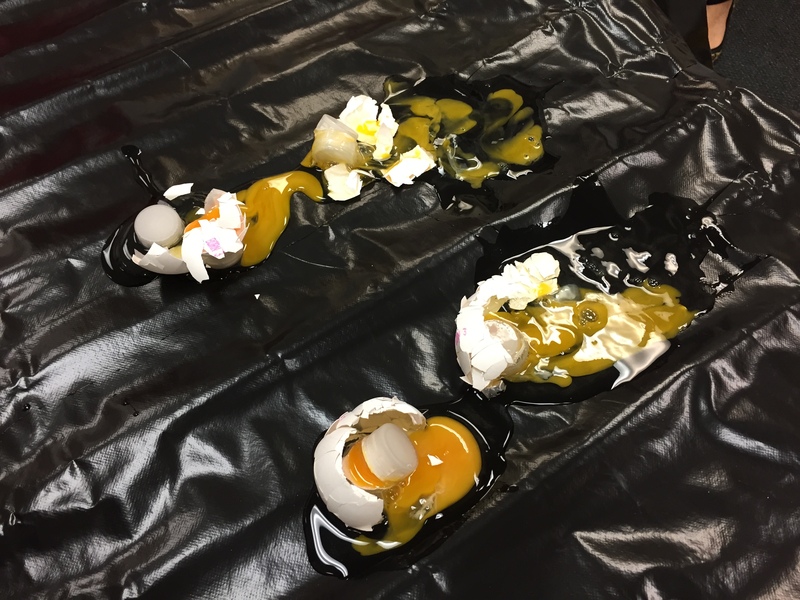 Eventually, students identified the egg that cracked first, second, third, and last. They noticed that they cracked in sequence and in a clockwise direction. The “wheels were turning” and the questions started. What if we did this demonstration again? Would the eggs crack in a similar way? This is evidence that learning isn’t always about coming up with answers, but rather promoting curiosity and igniting passion! 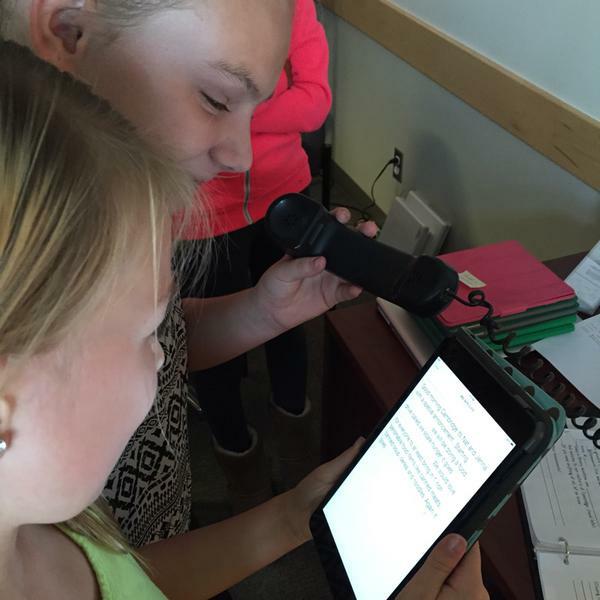 My third learning story is about how we do our morning announcements. Students have ownership over this activity and take it very seriously. Very often, students arrive early to school to prepare, even though we don’t do announcements until 10:15 a.m. When it is time to do announcements, students arrive on time and prepared. I think a large part of this ownership comes from the fact that not only do the 650+ students and staff hear what is said, but that the announcements are recorded, tweeted, and published on our school website and blog in real-time. In other words, their audience is the world. Listen to our morning announcements HERE. Students know they are doing real work! My final learning story comes from Kindergarten. I love to visit Kindergarten classrooms because of how creative, carefree, and risk-taking our youngest learners are. I can witness students experimenting with language and developing an understand that language can be powerful and used to communicate their thoughts and feelings. 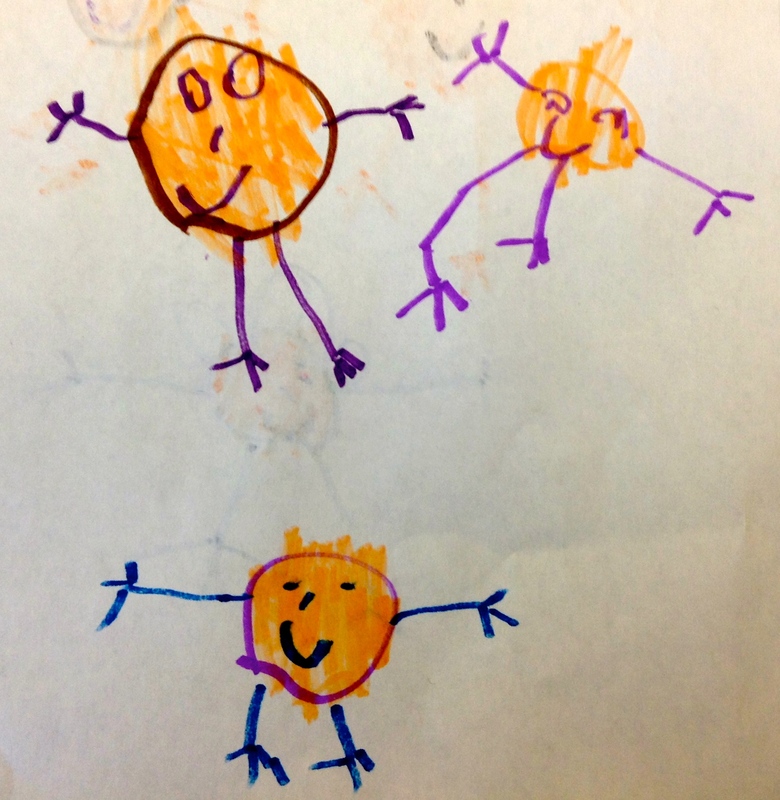 During a recent visit, I received a detailed drawing so I asked the student to tell me about it. I had my iPad with me so I asked if the student wanted to send his story to someone. He said “Yes” and that he wanted the story to be sent to his teacher, our music teacher, and our teacher-librarian. Using the ShowMe app, I recorded the story. Hear Keaton’s story here. Once others knew they could record their stories and send it to others to hear, I soon had a line of students ready with pictures in hand. Again, I think this goes back to the inherit need students have to do work that is meaningful. The audience in this example made the learning meaningful! Listen to a few other stories HERE and HERE. Would I want to do this task? Why are students learning this and how will I let them know? How will I engage students? What do the learning stories in your school reveal about what people believe about the work we expect students to engage in?